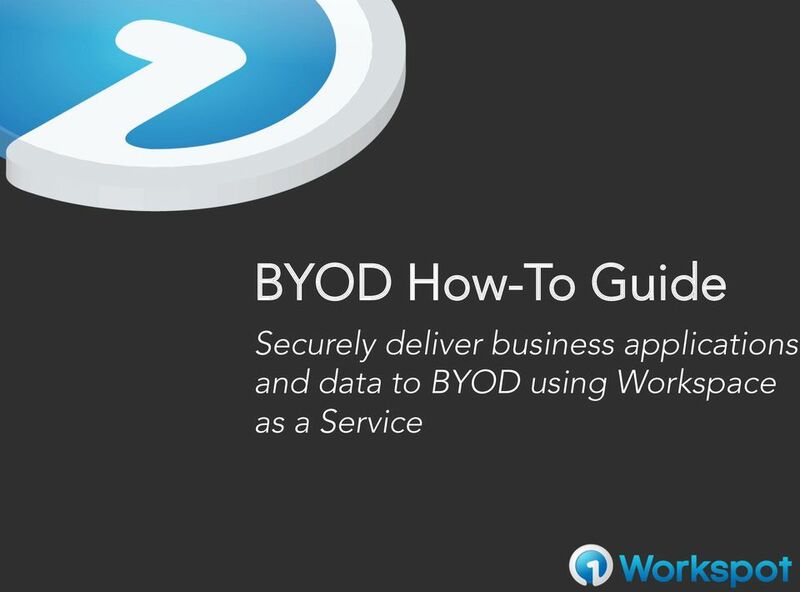 Download "BYOD How-To Guide. 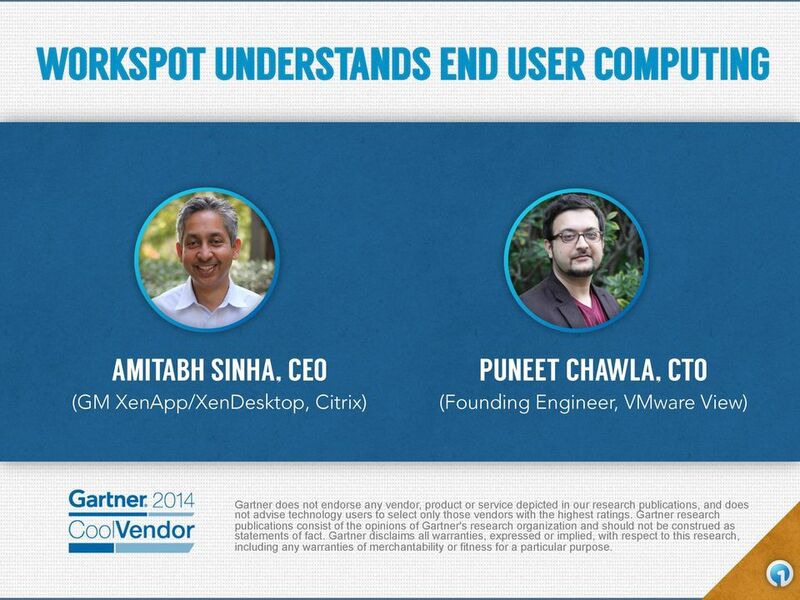 Securely deliver business applications and data to BYOD using Workspace as a Service"
2 WORKSPOT UNDERSTANDS END USER COMPUTING AMITABH SINHA, CEO PUNEET CHAWLA, CTO (GM XenApp/XenDesktop, Citrix) (Founding Engineer, VMware View) Gartner does not endorse any vendor, product or service depicted in our research publications, and does not advise technology users to select only those vendors with the highest ratings. Gartner research publications consist of the opinions of Gartner's research organization and should not be construed as statements of fact. Gartner disclaims all warranties, expressed or implied, with respect to this research, including any warranties of merchantability or fitness for a particular purpose. 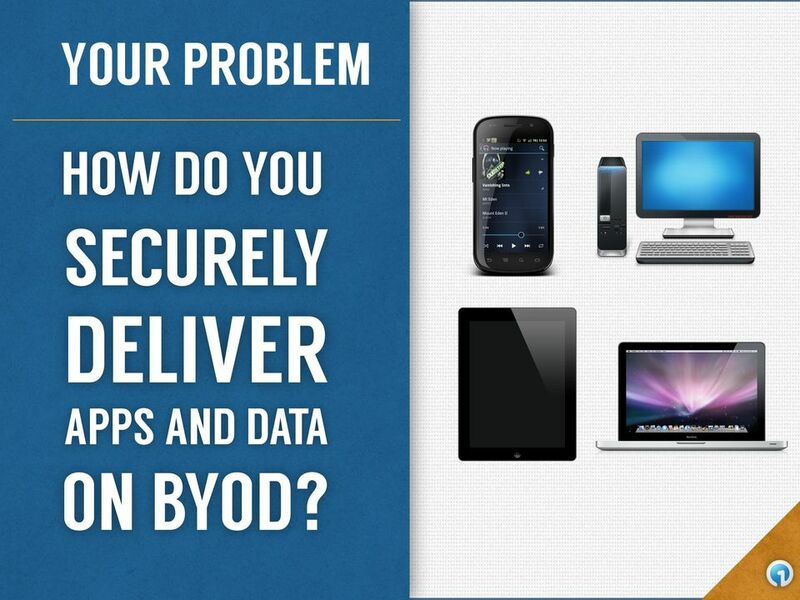 5 YOUR PROBLEM HOW DO YOU SECURELY DELIVER APPS AND DATA ON BYOD? 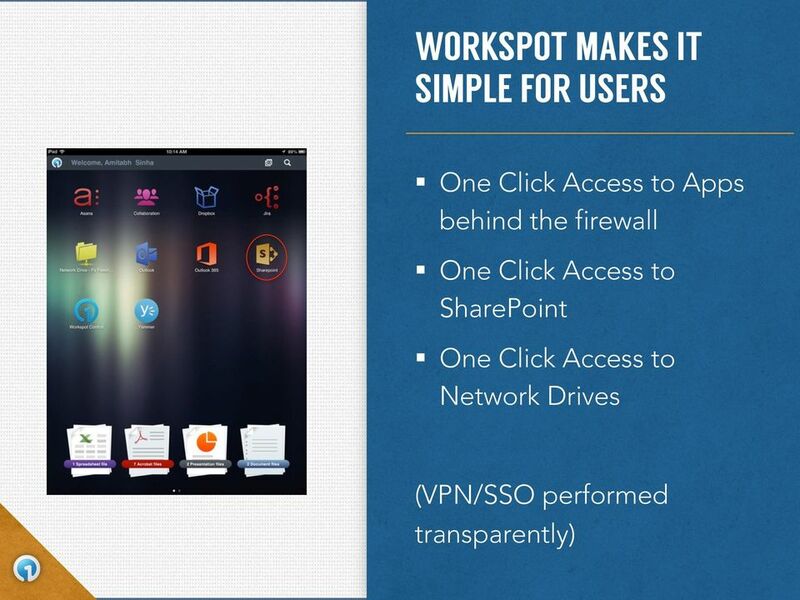 17 WORKSPOT IS SIMPLEST SOLUTION BYOD Features Workspot Secure Browser CIFS, SharePoint, etc. 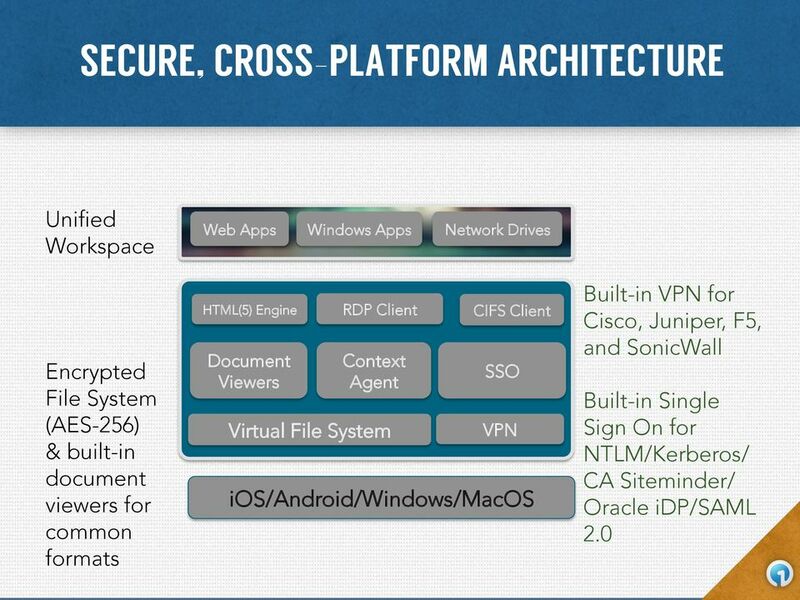 Windows Apps Single Sign-On Mobile Device Management Big Data Security & Performance NO NEW BOXES; PILOT IN MINUTES VMware Citrix MobileIron Mobile Gateway Netscaler App Tunnel Content Locker ShareFile Averail View XenApp Horizon App Controller Airwatch XenMobile MobileIron Citrix, VMware, and MobileIron have complex on-premise architectures. 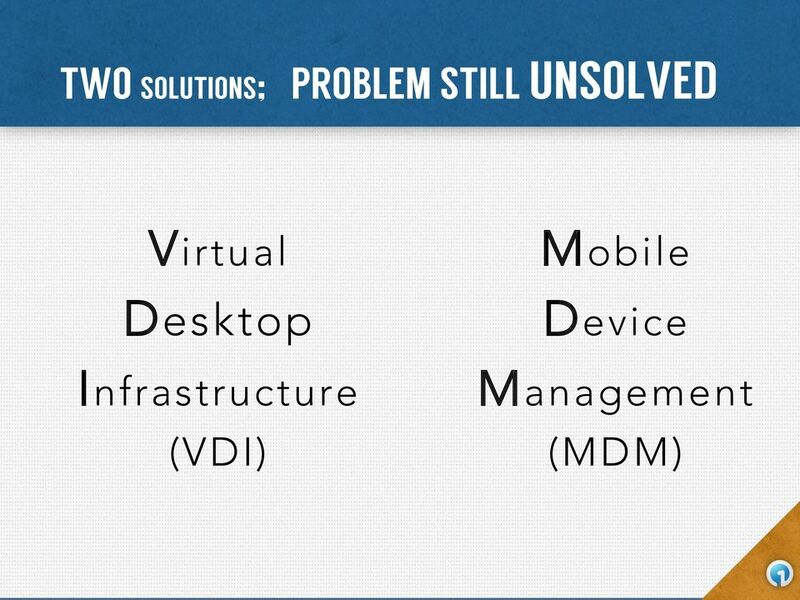 Solve BYOD with! 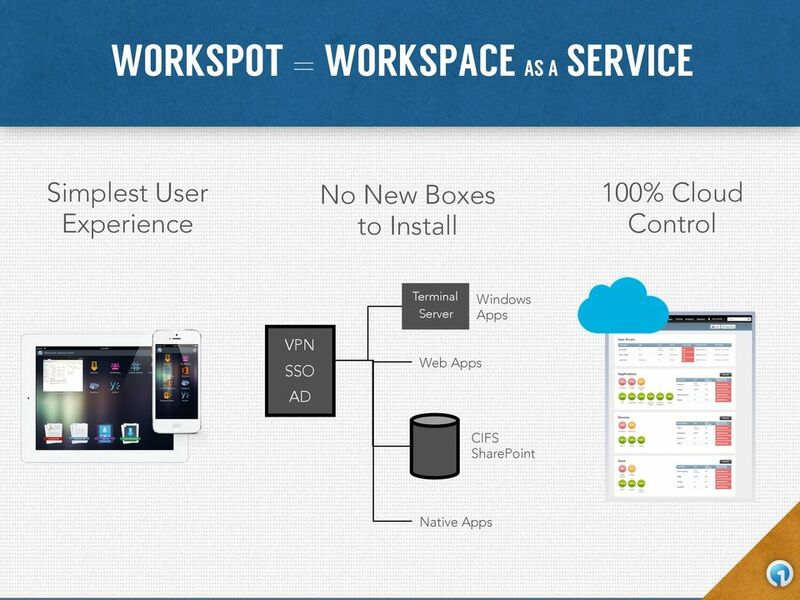 Workspace as a Service! 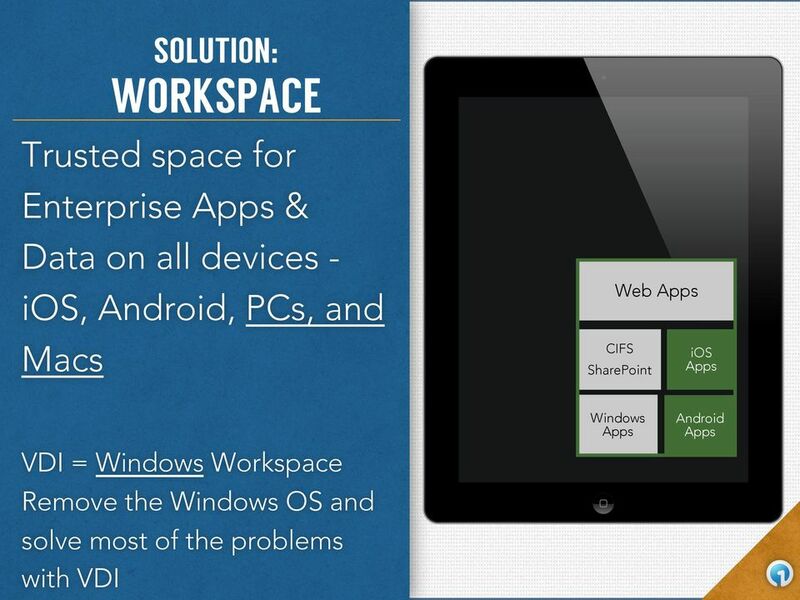 BYOD How-To Guide. 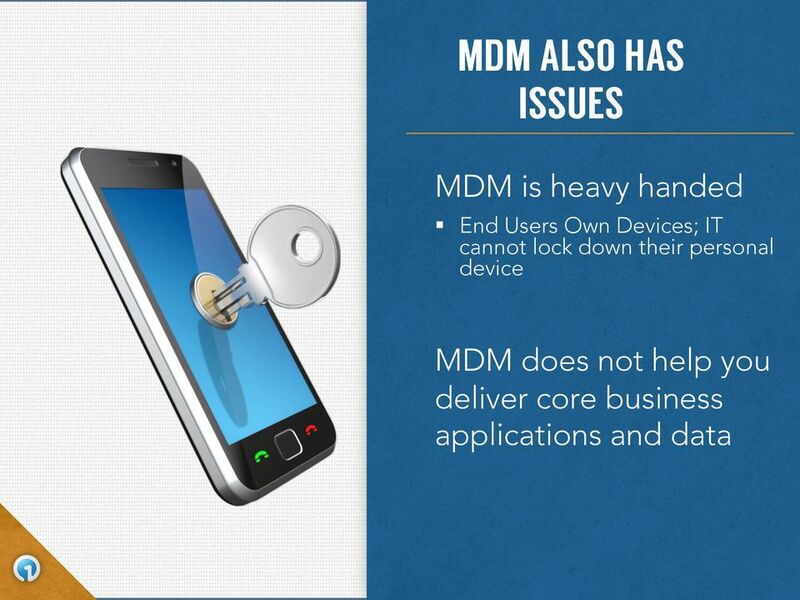 How do I securely deliver my company s applications and data to BYOD? 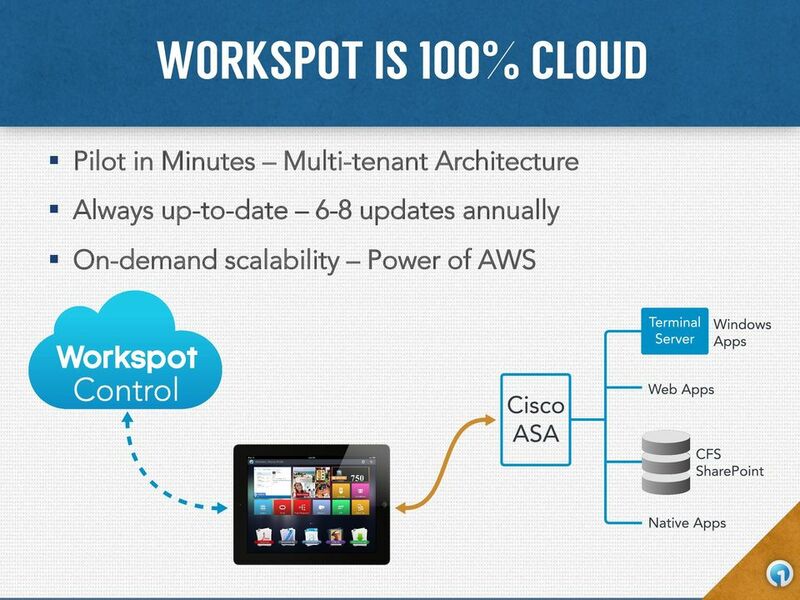 Mobilize your Enterprise in 60 Minutes! 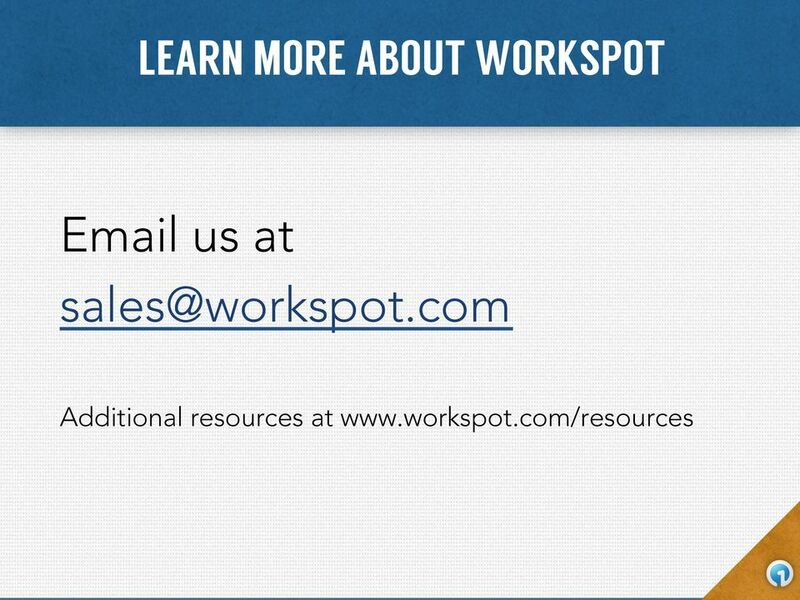 Deliver Desktops as a Service! 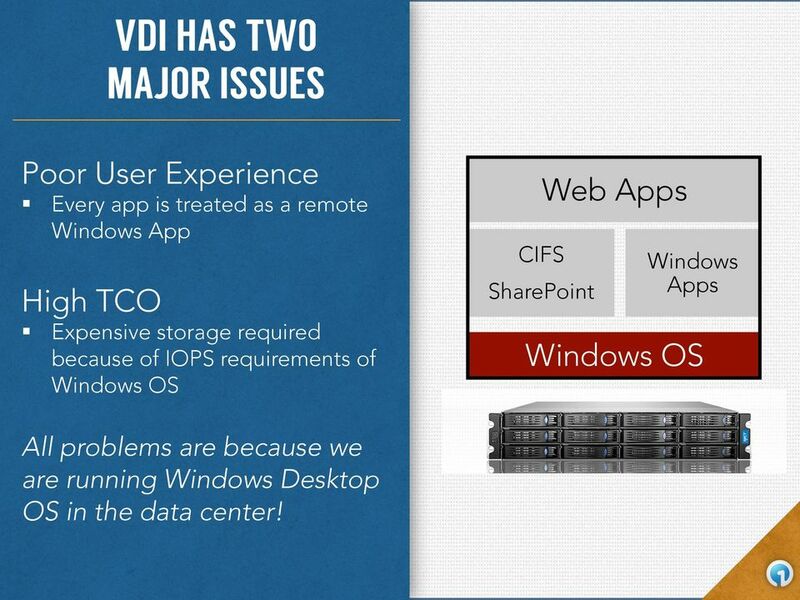 With VDI 2.0! 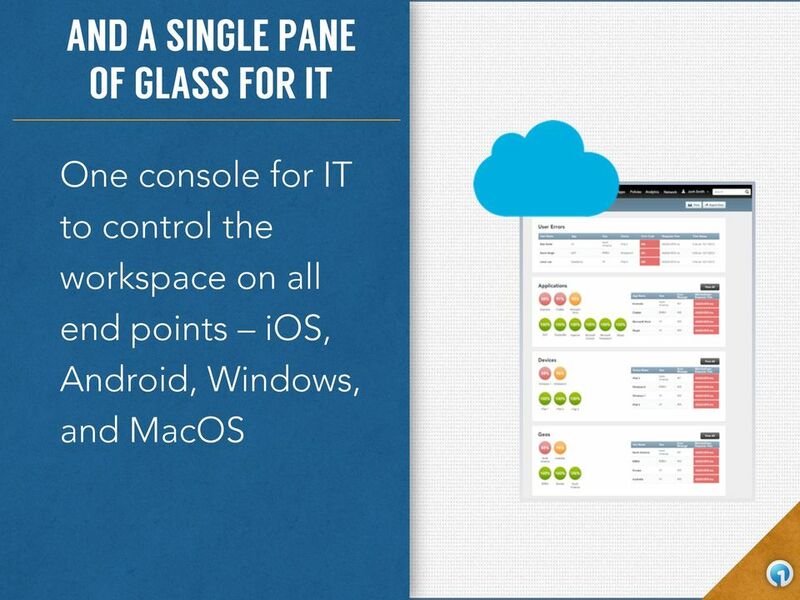 Cisco's Desktop Virtualization and Desktops-as-a-Service (DaaS) solutions and what it means for your Business Ben Smit -Global Business Manager Cloud Go-To-Market- Agenda! Introduction! Market update! Apps. Devices. Users. Data. 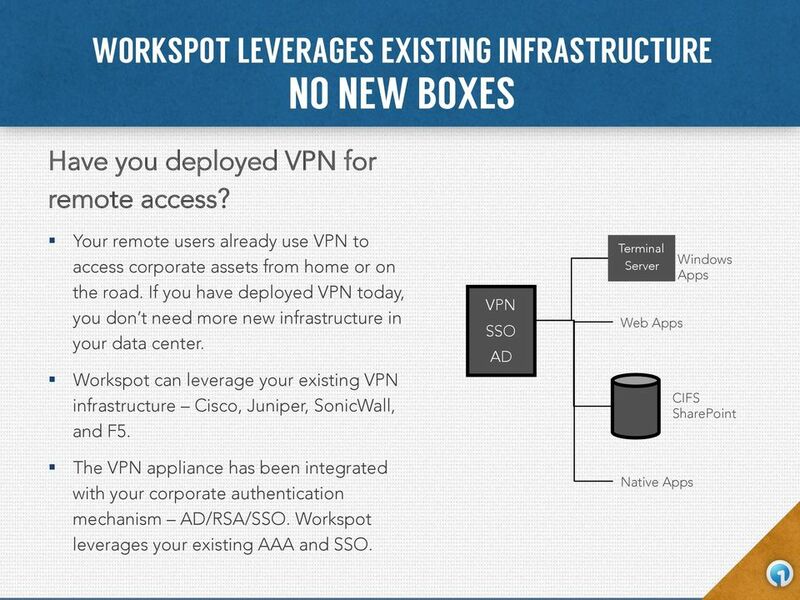 Deploying and managing applications across platforms is difficult. Ultra-strong authentication to protect network access and assets ESET Secure Authentication provides powerful authentication to make remote access to the company network and sensitive data safe, but hassle-free. 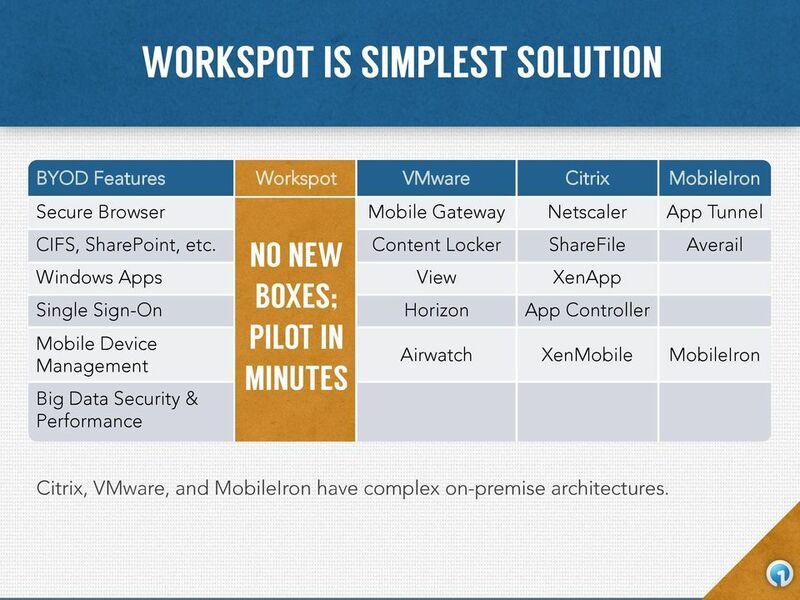 Mobile App Containers: Product Or Feature? GREEN HOUSE DATA. 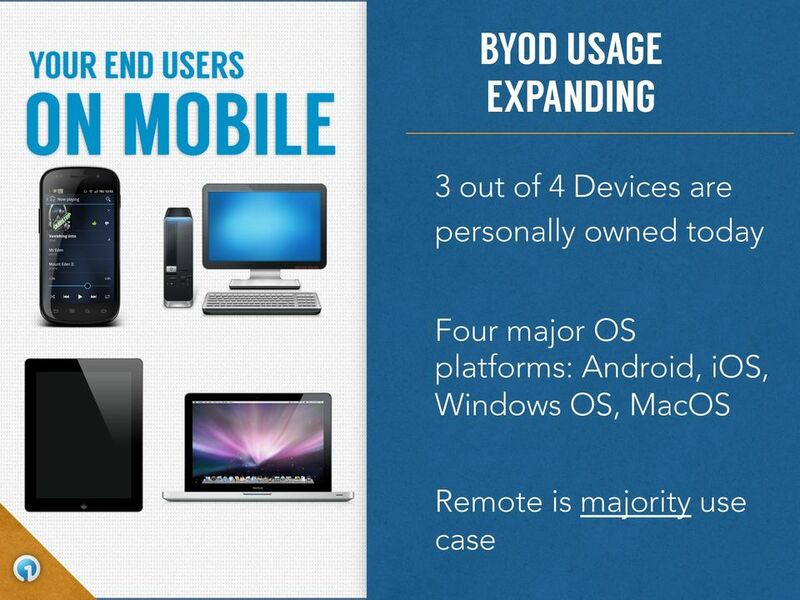 4 Steps to Secure BYOD. 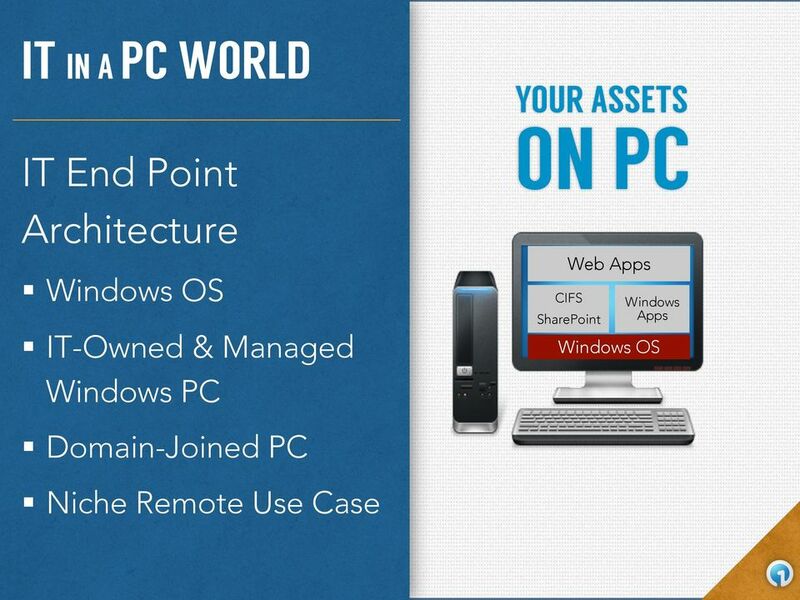 Using Virtual Desktops To Increase Productivity Without Increasing Risk. Built right. Just for you. 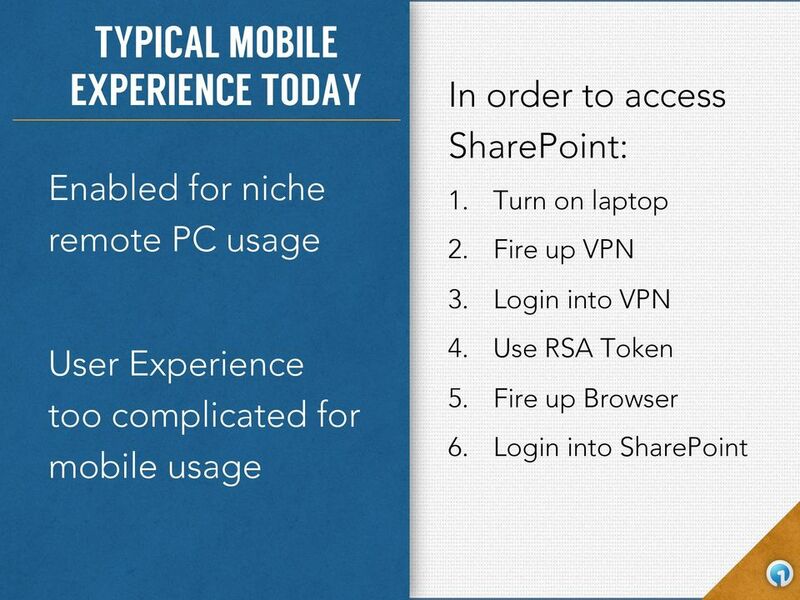 New Features: What s new in Windows Intune?